I took a few weeks off to prepare for summer, and get my new Etsy shop up and running. I have to say though, I have missed doing DIY projects. To kick off the summer months, I found a bunch of white shirts on clearance and decided to give them an upgrade. This DIY Vintage Shirt is so easy to make, and you probably already have everything you need on hand! You can customize these DIY Vintage shirts with any design you want! 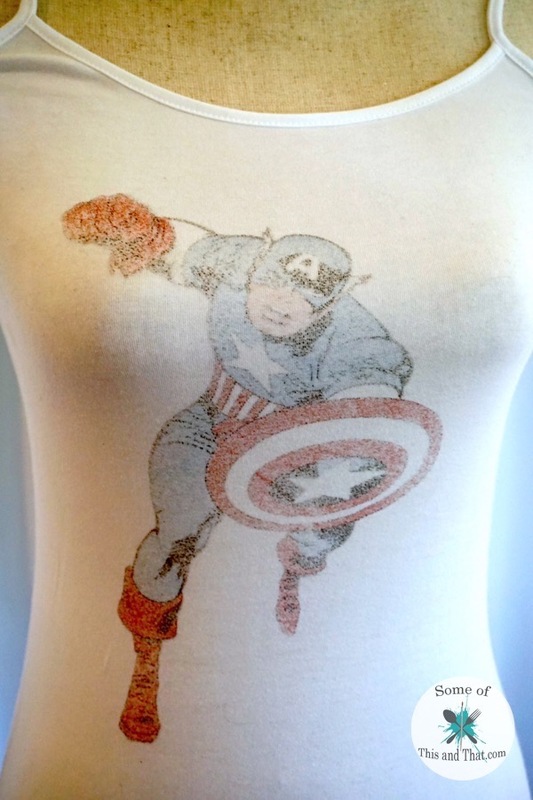 I had to go with a classic Captain American shirt, but you can do any design you want!